Colin Firth is a fine actor. So casting him as Eric Lomax, a British Army officer who was tormented as a prisoner of war at a Japanese labor camp during World War II, is just plain inspired. The film opens in 1980, decades after the war. Lomax is about to marry Patti (Nicole Kidman), whom he meets on a train. He shares nothing of his wartime experiences, until the day she catches him during a violent outburst. From that moment on, the movie bounces back and forth in time, as we learn more about Lomax and the man who tortured him. It takes a while before things get really interesting. But what gives the movie its heat is the acting. Firth, his eyes pools of pain, is outstanding. His scenes with Hiroyuki Sanada (the older version of the torturer), all coiled intensity ready to spring, are electric. 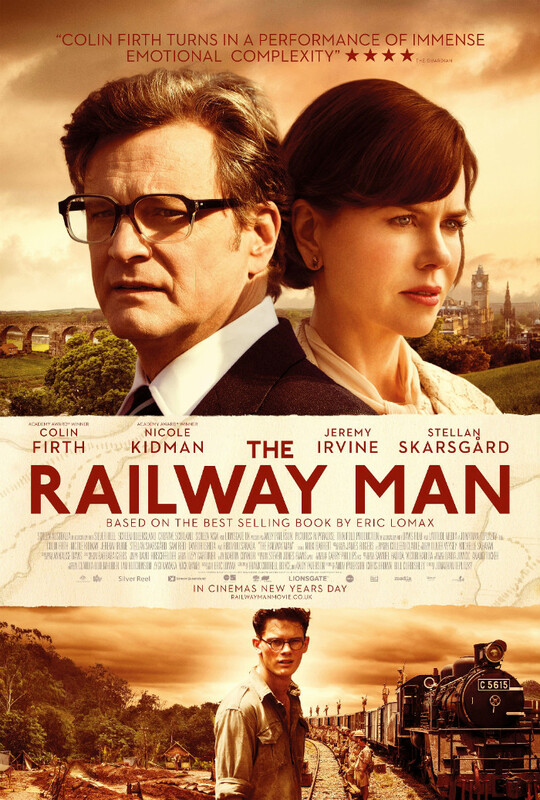 It’s the bruised history of these two that gives “The Railway Man” its beating heart and the power to grip you hard. Too bad it takes a while to get there.